It wasn't much of a bouquet — just a single lonely dandelion. But it had been plucked from the middle of a barren stretch of oilsands coarse tailings. University of Saskatchewan biologist Susan Kaminskyj knew right away that made it something special. It wasn't much of a bouquet — just a single lonely dandelion. But it had been plucked from the middle of a barren stretch of oilsands coarse tailings. University of Saskatchewan biologist Susan Kaminskyj knew right away that made it something special. "I was really excited," she said. "Plants that grow in extreme environments very seldom do it by themselves." "After a couple of months, we checked the petrochemicals in that soil and it had been substantially reduced," she said. "The fungus eats them and converts them into carbon dioxide and water." untreated seedlings in the same soil. Wheat seedlings also showed significantly stronger root growth after being inoculated with the fungus. Bacteria have long been known to eat spilled oil and other hydrocarbons. Some varieties are already being used to help clean up spills or contaminated sites. But bacteria have their limitations, said Kaminskyj. "Bacteria don't penetrate into things very well. Bacteria will grow on the surface or anywhere they are injected," she said. "A fungus grows in a very different way and, in order to survive, it has to penetrate. "Fungi will follow the oil." "There are about 800 square kilometres in coarse tailings, So there's a lot of work right there." 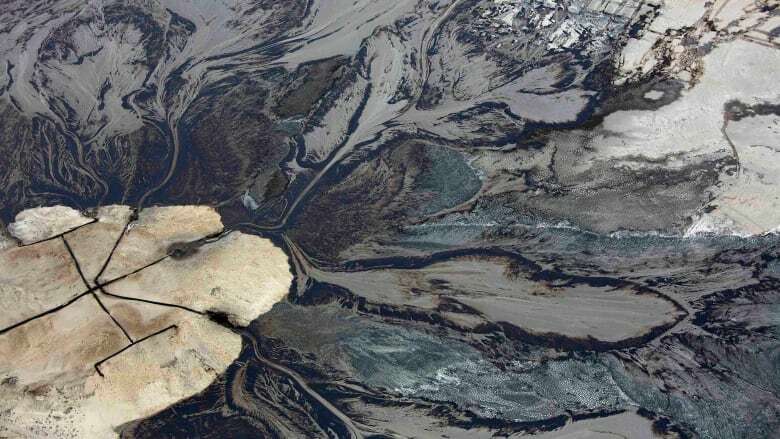 But the problem of fine tailings, which remain suspended in water and fill the extensive tailings ponds at oilsands mines, isn't addressed by the fungus. suspended in fluid tailings ponds," said Jodi McNeill of the clean energy think-tank Pembina Institute. Kaminskyj said her lab is currently looking at a different fungus that might help revegetate wetlands reclaimed from oilsands mines. She said the discovery is an example of how much of the environment is still unknown. "There's a lot of stuff about which we know nothing — particularly in the soils. We know very little."